Since September 9, 2008, this page could be found at World Webcam Monitor. That site, however, has to stop. 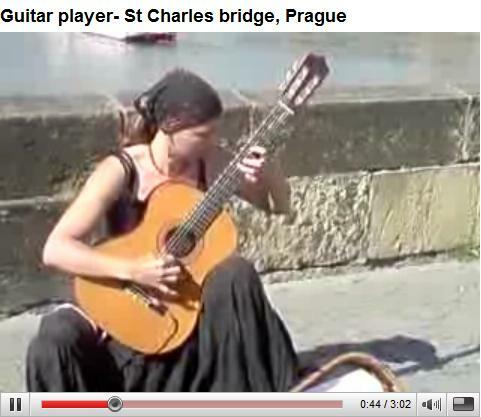 To save the wonderful music of Petra Ester Kahle at one of the most beautiful spots in the world, the Charles Bridge in Prague, I moved the page to André Horlings Publications. 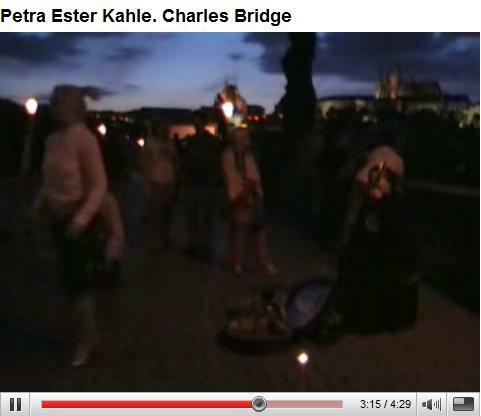 I 'discovered' Petra Ester Kahle at the Charles Bridge in Prague some summer evening in 2004. I was so impressed that I returned in 2005. 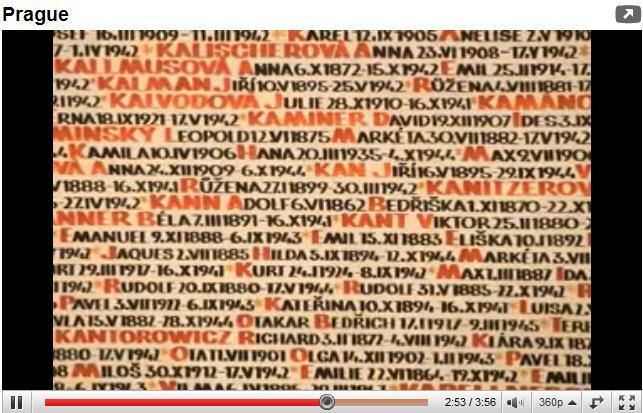 Later on I discovered YouTube movies of other admirers and in 2008 I produced this page. Petra now cannot be found any more at the Charles Bridge. She continued her study in London. It is one of the most peaceful places on earth, the Charles Bridge (Karluv Most, Pont Charles, Karlsbruecke, Puente Carlos, Karelsbrug and so on) in Prague, Czech Republic, over the river Vltava (Moldau), between the Old Town and Prazsky Hrad (Prague Castle); 516 meters long and nearly 10 meters wide with 30 historical statues. Building is said to be started in 1357 on the 9th day of the 7th month at 5:31 AM. King Charles IV of the Holy Roman Empire (1316-1378) chose this time so that when one writes out the opening time, they write the sequence of odd numbers, 1-3-5-7-9-7-5-3-1. The Charles Bridge is one of the touristic main attractions of Prague. Daily a crowd of (ten? )thousands of people is enjoying the pleasant atmosphere, created by the sculptures, the river and dozens of artists. It was not always so peaceful. During the end of the Thirty Years' War in 1648, the Swedes occupied the west bank of Vltava and as they tried to advance into the Old Town, the heaviest fights spread out right on the bridge, damaging the Old Town Bridge tower. The bridge was severely damaged during several floods; last time in 1890, when two statues fell into the river. The flood of 2002 caused minor harm, but made clear the need of improvement of the protection. In 2008 a reconstruction started, lasting until 2010, without needing to close the bridge for the people. "I don't really know: is that bridge nicer during the day or during the night? ", was the comment of Nina from Serbia. "First I came at daytime and I thought: I can't believe how amazing that bridge is! Although it was crowded I can say the bridge is a very romantic place and I was lucky to see a bride and groom taking pictures there ... very, very romantic. Then at night he was in dark, quiet and beautiful... I cannot even describe that feeling inside me, I was overwhelmed." Take a bath in the crowd and make a walk at the bridge along painters and a puppet player, listen wonderful dixie music and admire a man playing the glass harp at wine glasses. Sometimes there are even streakers there. I myself made this walk (not for the first time) one afternoon in July 2004. After some jazz bands, the glass harp and the puppet player I looked at some paintings, and suddenly my attention was catched by wonderful guitar playing, just like the Nokia sonata in 'Na procházce' (A little walk); video 1. I listened several melodies for some time and continued my way. Next day my feet wanted to go to the Charles Bridge. The guitar player was at the same place again. I am sure one of the melodies was the Spanish folksong Romance (video 4 and 5) - I cannot discern Bach from Paganini, but later on that melody came back in my memory. Another was The Third Man, I just heard many times in Vienna (of course). My third and last day in Prague I had to go to the bridge. And yes, there she was! The evening, the decorum, the music: this was unforgettable! 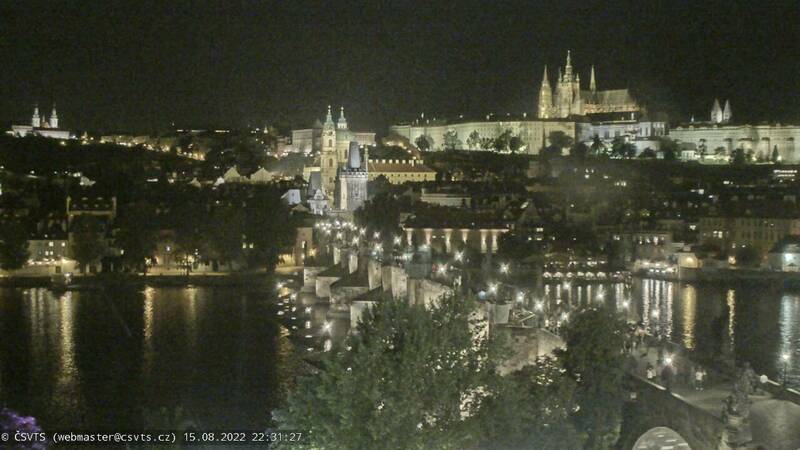 In 2005 Prague was not in the planning (there was not really a plan). But when the city came close I remembered a thousand of reasons to go there (not so difficult). 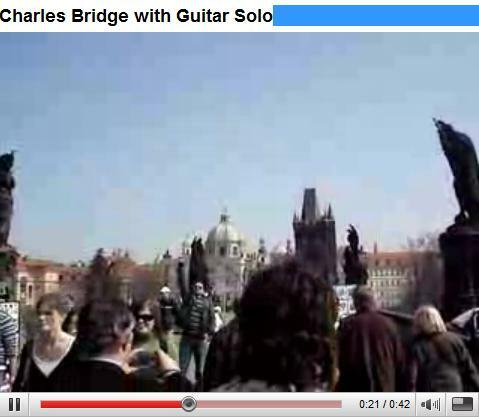 One of them: maybe the guitar player is at the Charles Bridge again. First afternoon: nothing. Evening: nothing. Next day: nada. Third (and last) evening: there she was! At her feet was a card with the permit to perform at the bridge. Her name: Petra Kahle. Again I listened for a long time. Again she played wonderful melodies. It was a memorable evening. It completed my wonderful holidays (but outside the bridge I escaped a robbery in the tram). Back home I googled for her name. I found an engineer in Dresden, an environmental specialist in Rostock and a confectioner in Niederwiesa near Chemnitz in Germany that bakes 'Köstliches aus Sachsen' (sounds delicious) - should one of them in her holidays...? 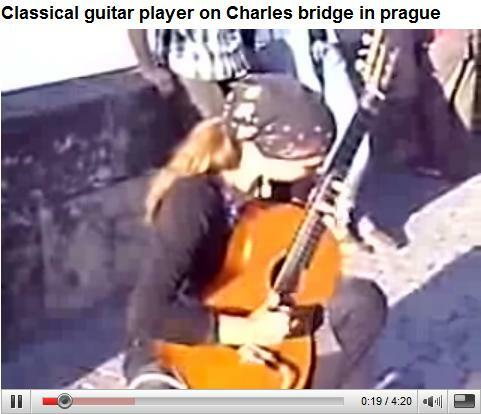 But Google didn't know nothing about a guitar player in Prague. From time to time I tried again. 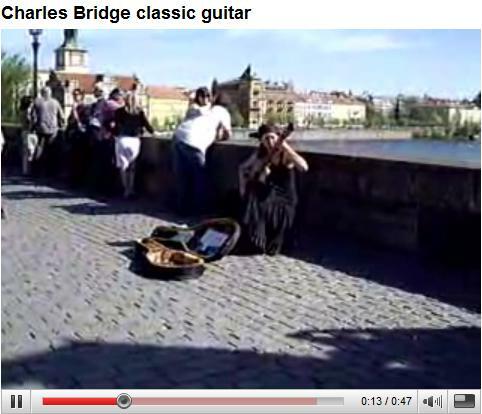 Then, suddenly, somewhere in 2007, YouTube had a video with 'classic guitar' at the Charles Bridge (video 2). She was, no doubt, Petra Kahle. Since, the results at Google and YouTube were improving. I learned her complete name is Petra Ester Kahle. 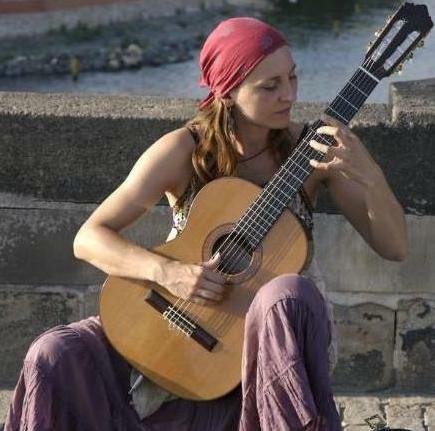 She comes from Brno and is studying classical guitar at the prestigeous Prague Conservatory. 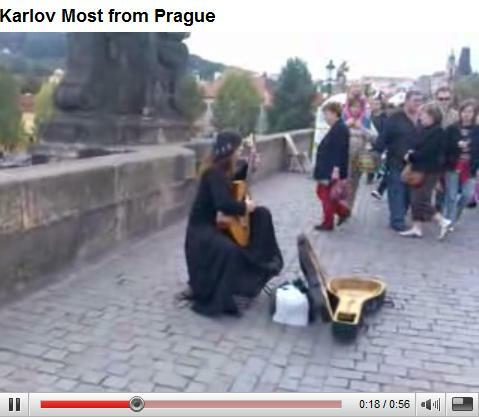 She performs regular promenade concerts on the Charles Bridge and gives recitals at gallery openings and other events as a solo artist and with small groups. Petra also loves folk, ragtime and jazz, as well as composing her own music. I learned that I was not her only fan. A Dutch family played her CD during the whole trip back home in rain and traffic jams. Linda from North Andover (Massachusetts) wrote: "My favorite musician was a guitarist named Petra Ester Kahle – I bought her CD, it’s really great. She was on the bridge almost every evening." And I found other videos, a short one of a Gypsy Music Lady, another with bad noise, but the results became better. 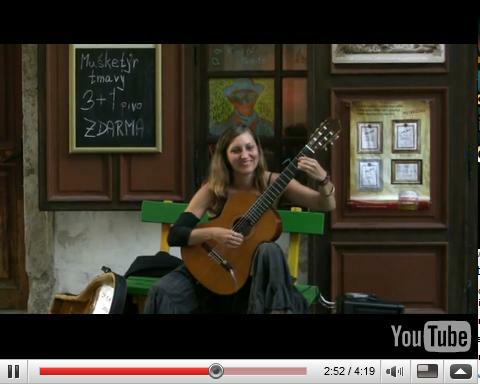 A video impression of 'A day in Prague'(Video 9) has Petra's Gran Vals (Francisco Tarrega) in the background of all the city noise. August 2008 YouTube subscriber 952150 submitted a nice new collection on the web. The growing number of bookmarks inspired me to compose this page. 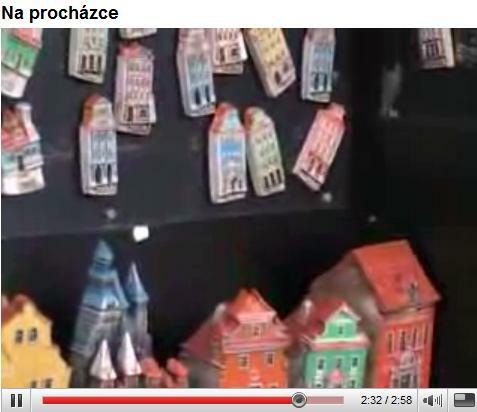 It's time to leave the Charles Bridge (video 10) and visit some of the other highlights of the Golden City. 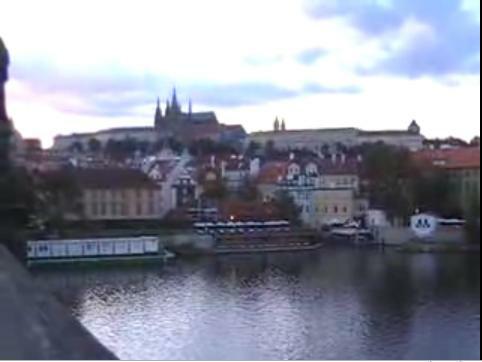 Let the beautiful pictures in 'Prague' of Eghead (video 11), accompanied by the guitar music of Petra Ester Kahle, inspire you. 11. Prague (views bij Eghead), at a slow performance of the Spanish folksong 'Romance', played by Petra Ester Kahle. Since 2009 Petra continues her study in London, at the Trinity College of Music and Dance. She can be booked for solo concerts and with her quintet 'The Kamikaze Orchestra. For news, try her Facebook. • A selection of melodies at the website http://petrakahle.wix.com. Make your choise. 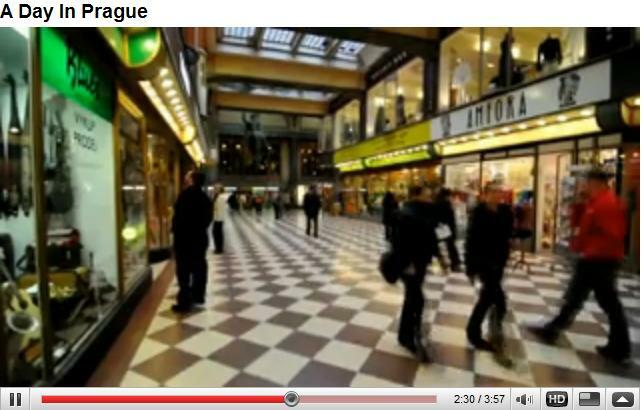 • Urban Tango; 3rd piece from 'Histoire du Tango', played by Alice Auld on flute and Petra Ester Kahle at guitar (ca. 2013). • Solo at guitar by Petra as a part of the play ‘Destiny with Death’. This site is on the web since September 9, 2008. July 17, 2016, it moved to André Horlings Publications.